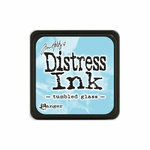 Mini Distress Ink Pads feature a raised felt pad making it easy to use on smaller craft projects. 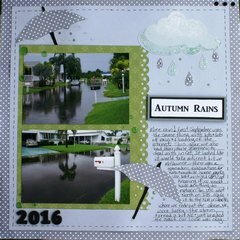 Pads can be easily re-inked with the coordinating Distress Ink Re-inker. The small size makes these pads quite convenient for projects on the go! Dont let the small size fool you. 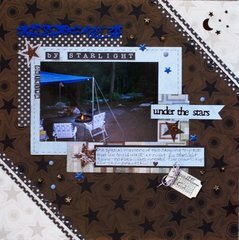 The Mini Distress Pad can be used in all the creative ways as their full size counterpart. Perfect to use with our new Mini Ink Blending Tool. 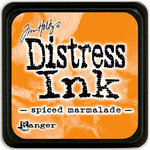 New mini distress inks are awesome! !! That might as well have been flushed down the toilet! I purchased all 64 mini ink cubes and not a SINGLE ONE produced a solid & complete one inch square of color when stamped (press & twist) on smooth Neenah 110# cardstock! 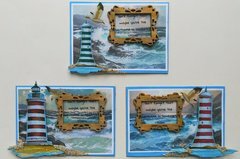 I was so very disappointed that I contacted BOTH TIM Holtz and RANGER Customer Service and sent photos documenting the HORRENDOUS quality of the products that I received. 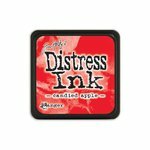 It was suggested that I try the Distress Ink Refresher. After wasting an additional $10.00, the quality was just as poor as it had been initially. I was utterly dismayed by the rude, arrogant, unprofessional and disrespectful treatment I received from customer service. Rather that admitting to the possibility that I had indeed received a defective batch of products, Ranger decided to go on the offensive stating that I was using their products incorrectly! SERIOUSLY??? I was under the (obviously mistaken) impression that the role of a customer service department was meant to HELP its customers as opposed to insulting them! The ink pads that I have are totally useless! An incredible waste of money! And now, having gone through the mean & hurtful responses of Ranger's customer service representative I will be avoiding both their line of products as well as the Tim Holtz line (as even he didn't step in to help) so as to never have to deal with such callous disregard again!!! I truly AWFUL (and expensive) experience!!!!! 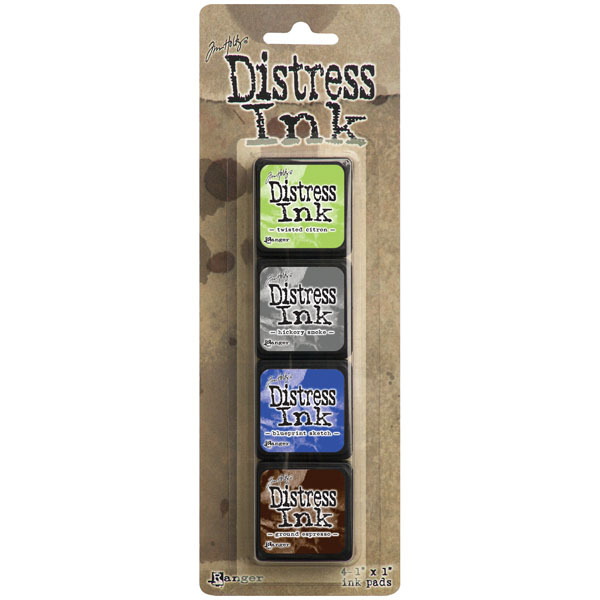 I Love the Distress Ink pads. I purchased this one to go with the other sets I already have. 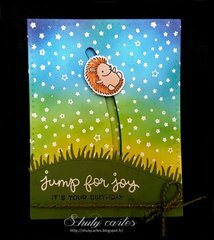 I have used distress inks for years and love them. Just as good with these mini ink pads. Saves lots of room in my ink draw. Love the kits great value! I try to keep track of all of the Tim Holtz Mini-Ink line.. This is the 14th set, but you do not mention the colors of the four ink pads in the set... please tell us what they are. 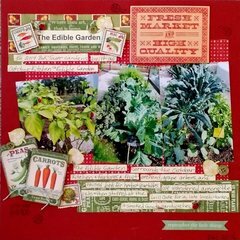 Thank you By: suzyqincolorado (04-Nov-15) Helpful Question? Yes | No Thank you! Report Inappropriate This question has been reported. Thank you! Ok, well I think I got my own answer by enlarging the product picture.. if anyone else is interested, the colors are: Twisted Citron, Hickory Smoke, Blueprint Sketch, & Ground Espresso. Nice colors :D By: suzyqincolorado (04-Nov-15) Helpful Answer? Yes | No Thank you! Report Inappropriate This Answer has been reported. Thank you! Don't be fooled by the picture, It may not be correct. I purchased a set of Alcohol inks that had a different colour than the picture said. Scrapbook.com were very good and sent me the colour that I had wanted as soon as I complained explaining that you must read the text which says the correct colour. But as you say this one does not! Can be confusing. By: fransha (04-Dec-15) Helpful Answer? Yes | No Thank you! Report Inappropriate This Answer has been reported. Thank you!